We are an independent, fee-only investment management firm providing wealth management and financial planning for individuals, families, non-profit firms, and corporations of all sizes. As a fiduciary, our clients interests are tantamount to our objectives and we are therefore not plagued by conflicts of interests inherent in the asset management business today. We are students of Benjamin Graham and a value-oriented investment management firm. This means that we seek investments with an identifiable margin of safety, a true underlying value, and a cost lower than the asset's fundamental worth. We understand the disconnect between true value and cost. We aim to buy only at the most favorable times when others in the investment industry typically sell. In the same way, we typically sell when others are more likely to buy. We move strategically, focusing on possible loss before examining gain. Minimize turnover; maximize time. Adopting a long-term focus requires the understanding that fewer transactions over an extended time period result in fewer costs. Although we recognize that not everyone has the luxury of unlimited time, and we tailor our investment process to each individual's needs, we also aim to satisfy the long-term goal. Too many advisors claim there is One Key, or One Secret, that allows them to buy stocks just as they are ready to go up. Simplicity is appealing, but we've found that magic and investment don't mix. We think the Key to identifying investment opportunities lies in robust, well-rounded analysis, balanced across a variety of metrics. When we build a portfolio, we aim to limit risk. That said, understanding investment means accepting risk as an inevitability. In order to limit risk to the entire portfolio, we approach investment with an eye toward reasonable diversification. This entry was posted in 2018 on January 29, 2019 by RGAIA. As the saying goes, markets go up on an escalator, down on an elevator. January 2018s smooth escalator ride higher was more than outweighed by December’s swift elevator ride lower. In hindsight, the culmination of the January ascension in February’s storm of volatility was a precursor of what was to come. The Old Wall Street rules dictate that a 20% rise from lows in markets is a “Bull Market” while a 20% fall from highs marks a “Bear Market.” By that token, we had been in a relentless “Bull Market” since March of 2009, what many call the “longest on record.” As the saying goes, “all good things must come to an end.” The final nail to the post-Financial Crisis Bull came on Christmas Eve, 2018 when the S&P hit an intraday low that was 20% off highs. In 1998 it was somebody else’s problem, with their blood splashing on our trousers,” he said. “This time we’re ankle deep in our own blood.” Unlike 1998, the current crisis is rooted in the United States. It’s our stock market bubble that popped. The United States was attacked, and our CEOs cooked the books. In 1998, U.S. investors were staring out at the world and wondering where it would end. Now the world’s investors are staring at the United States and wondering the same thing. Griffin can imagine, he said, a Japanese-style pullback from risk in the United States, in which investors give up, banks refuse to lend and the economy languishes. He can imagine other countries, accustomed to the United States’ role as the world’s economic locomotive, not taking up the standard. He can imagine a crisis of capitalism of a 1930s order. Griffin thinks the people talking about deflation are probably wrong, but he doesn’t think they’re crazy. As we all now know, 2002 was merely the warning shot and the deflationary shock came before the decade ended. Our preview for 2018 featured a few appropriate points, but more wrong ones. The appropriate ones remain applicable and we will start there (we will spare you any Bitcoin here this year). First, it was clear that the returns from 2017 were the “pulling forward” of future returns. The year was simply too good to be repeatable. In 2013, when we issued a similar warning, we emphasized that the pulling forward of returns can resolve either with sideways action or downside. Despite this call as 2018 began, we were hardly saddened to see the year on track for a back-to-back repeat of strength through September. This was before Mr. Market suddenly hammered home the idea that a pulling forward of returns can also be corrected with swift downside, in addition to extended sideways stretches. We were especially wrong on three big things: the slope of the yield curve, the outlook for financials and the reemergence of dispersion. It turns out all three of these expectations were correlated with one another. 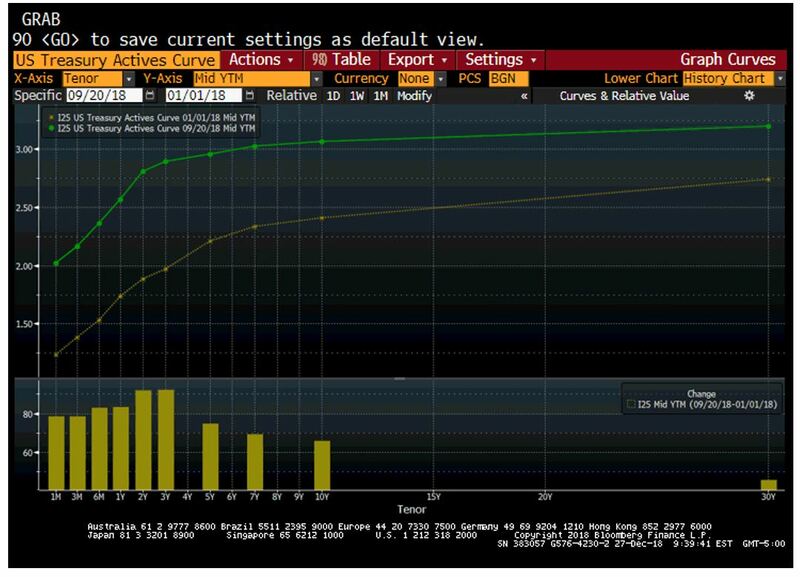 If you were to look at the yield curve from the day the S&P made its all-time high, the expectation of more slope was mixed: inside of three years there was a steepening but the long end had flattened. The 10-year is the level to which a considerable amount of corporate and household lending activity is tied. In the week after markets peaked, the 10-year made new highs. When equities bounced again in November, there was yet another new high in the 10-year yield, over 3.25%. 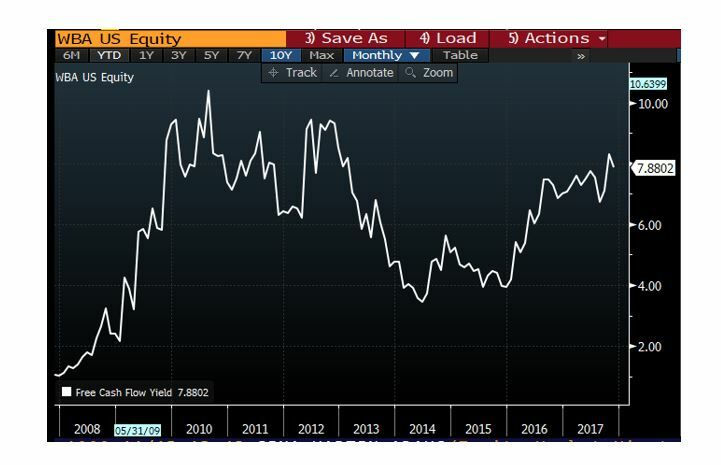 This was the highest 10-year yield since 2011! At the time, banks were exhibiting considerable relative strength to the rest of the market, despite a weak year-to-date showing. As the selloff in equities escalated, the main cause was attributed to rising bond yields. 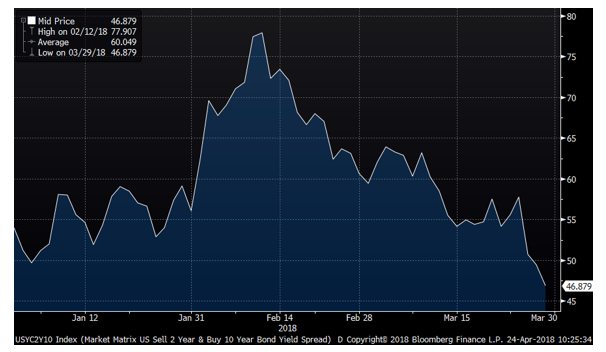 We got headlines like “Here’s why stock-market investors suddenly freaked out over rising bond yields this week” which raised the prospect that Fed rate hikes Fed might push us into recession sooner than feared. 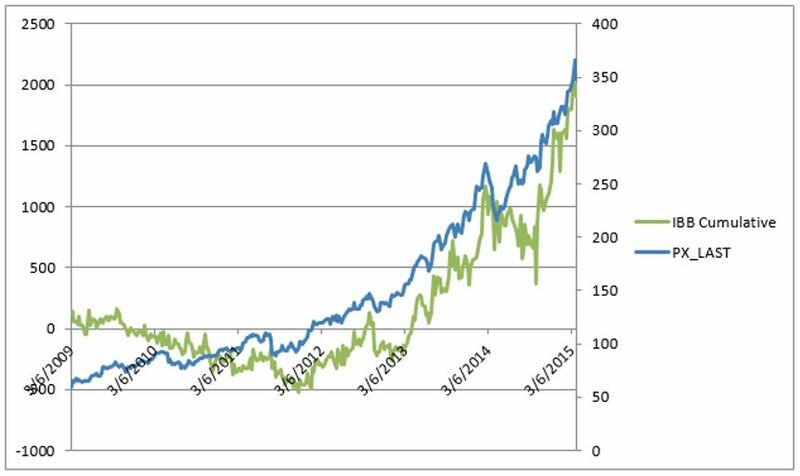 Interestingly, through it all, credit spreads remained firm. 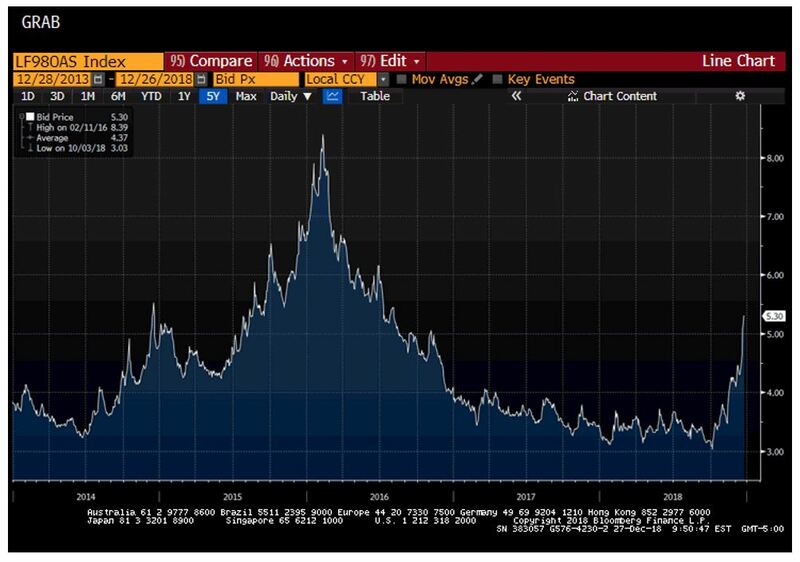 Later in the quarter, credit yields gave way to market pressures; however, despite the worst peak to trough market move in a decade, credit spreads remained within normal bounds and well below the scarier tumult of the winter of 2016. The context here is helpful. While credit has hardly performed well lately, markets went from incredibly narrow spreads to modestly wide ones. We are well within the “comfortable” zone. It would however be supportive to see the direction of change stop worsening and start improving. Markets grasp onto directional change and sentiment tends to extrapolate momentum. The rate narrative and its tie to financials is important for housing–one of the key sectors driving our economic cycle. Housing was the economic “scene of the crime” last decade and while the fundamental backdrop is drastically different today, investors tends to anchor to the past risk in hunting for future risk. While the market down move started this quarter with the spike in rates, the pressure accelerated with the late October release of poor September home sales data. Rising rates made mortgage interest a bigger burden for prospective purchasers. “So there’s not a lot of inventory out there at the affordable price bands, and much of the headlines, I think, are tied to higher price points that are seeing some slowdown. And we’re trying to stay ahead of that at the price points that are slower, are well above us today and where we’re operating. But if it comes down, we have to be prepared for that, and it’s in part why we’re rotating to lower priced communities, positioning smaller models in higher priced areas even to keep affordable and keep some insulation there. But we think market conditions are very good and continue to see a growth opportunity as we head into ’19.” Q3 2018 KB Homes 9/25/2018. 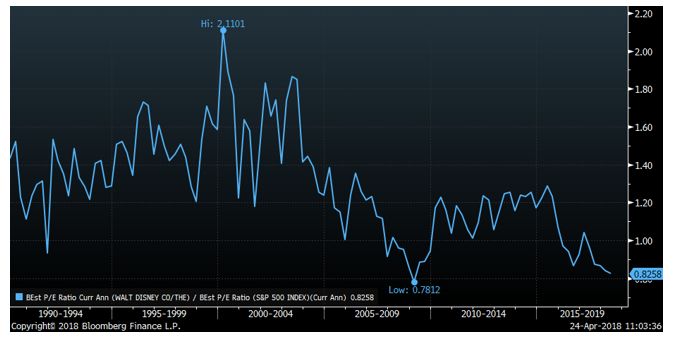 “Well, sort of on a general basis and there are some exceptions at the higher price points, it’s gotten a little bit softer than the lower price points have been. And that’s not unusual in a market that there’s a lot of publicity as to what’s going on in mortgage rates and price depreciation. Because the more affluent buyers time their purchase based on where they think the world is going. 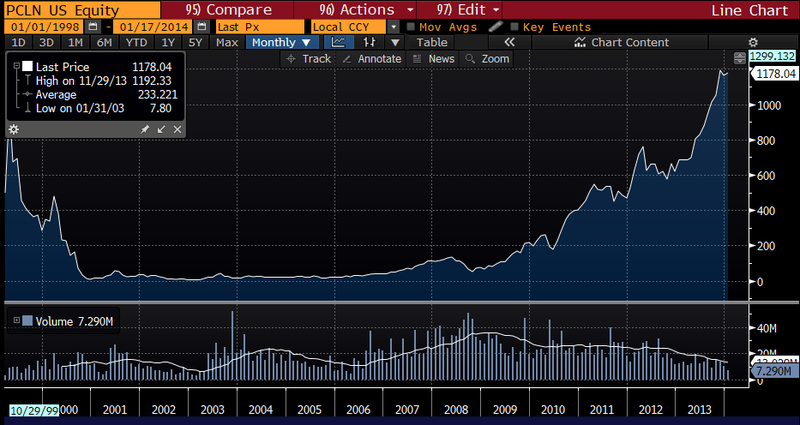 And so we think, as we said consistently, that this is just a market adjustment to a more normalized market from what was, really, a red-hot market in some of these markets.”Q3 2018 Lennar Corp 10/3/2018. It is hard to sit in our seat today and say exactly which areas of the market would best withstand the next bear, for there are yet to be obvious areas of overinvestment like the technology sector in 2000 and the financials in 2007 that will lead the way down; however, we have confidence that the nature of the next recession (and let’s not forget, a recession is an inevitability eventually) will be different than the last. To reiterate: “the 2007-09 bear market was an actual liquidity crisis where deflation was the risk that imperiled the economy, whereas the next recession will be a normal Fed induced recession when inflation gets too high and the Fed thus raises rates to cool things off. One of the fears today is that market action can be self-perpetuating and self-fulfilling. 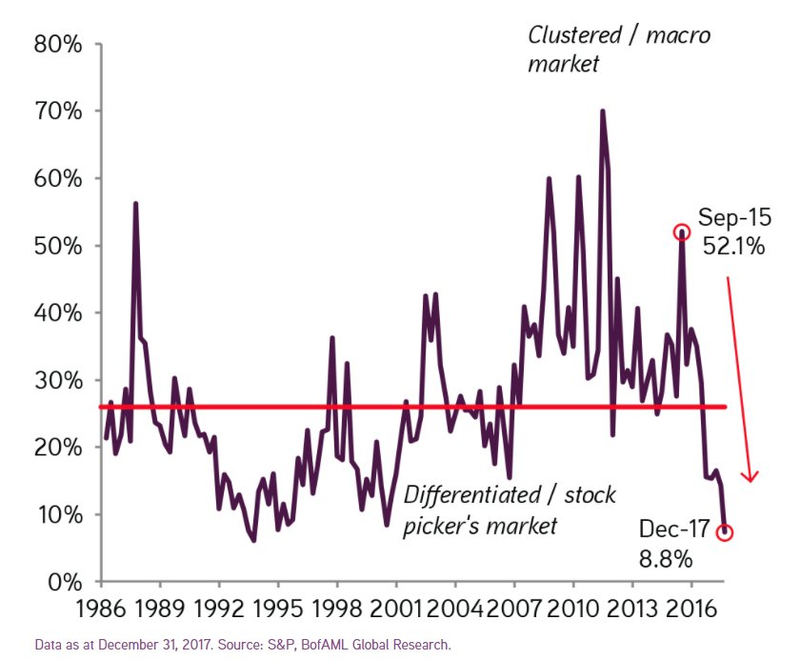 In 2018, we saw no real signs that point to an imminent recession in the U.S. but markets have now gone a long way to price one in. The global situation is messy and the idea that “Trade wars are good, and easy to win” is truly being put to the test. We are insistent that they are neither good, nor easy to win. That said, there is merit to pushing a harder line with China on global trade; however, we think a resolution in a reasonable timeframe is imperative. A conversation we had with the CFO of a manufacturing company was truly insightful on this point. The CFO told us that the biggest challenge is not knowing how to pursue strategy. Companies spent over a decade building their supply chains to run through China–this was not done overnight. For some of the largest multi-nationals, it makes sense to accelerate planned supply chain diversification to areas like Vietnam; however, this CFO warns that Vietnam’s labor pool is not skilled enough for hard durables and the port volume is not deep enough to handle the swell in demand. Further the strategic bind is intensified because if there is a timely resolution to the trade war, a diverse supply chain will end up as a cost that dampens future returns. C-suite strategists are left flat-footed between action and inaction with severe costs on both sides of hindsight proves either side wrong. This leaves many in “wait and see” mode because it’s easier to undo inaction than action. In the near-term, the combination of a strengthening dollar and some tactical maneuvers like batching orders and changing the “importer of record” have helped cushion the impact, affording the luxury of time. This state of affairs cannot last for too much longer. Federal Reserve Bank Chairman Jerome Powell has come under fire from various corners of the political and market sphere for raising rates in December despite weakening equity markets. We think his decision was largely motivated by concerns about the labor environment. 2018 saw the swiftest rise in average hourly earnings since the financial crisis and with full employment, the Fed is expressing caution that inflation can stay within its targeted range. This gets back to our point that the next recession will be caused by the Fed, and some seem to already believe this is the Fed’s intent right now (something we believe is an overly hawkish take on the Fed’s intents). We do think it was a mistake to raise rates in December and that the risk from holding on just one more month was far more modest than acting too swiftly, though at the same time we do not think the economy is so fragile as to tip over from one 25 bps move. It is very hard to call a good employment environment a “headwind” to the economy. After all, the economy relies on consumers, with gainful employment, investing and spending the proceeds of their labor. Rising wages should thus lead to both better consumption and better investment. This should be one of the factors most supportive of preventing a deeper slide in the house market. Importantly, this could help alleviate one of the big mysteries of the wake of the Financial Crisis–why has productivity growth been so poor? The answer might be as simple as the amount of slack in the labor market that persisted for far too long. Why would an employer invest in productivity when they could simply hire a helping hand for decently less than the inflation adjusted wage a decade prior? Investments in productivity take an economic calculus of opportunity cost. Can I buy technology that will enhance my productivity over the next five years for less than it would cost to train and employee a worker over this time? Today with unemployment in the high 3%s is very different than five years ago at this time sitting just beneath 7%. Below we will tie this force with one of our new investments during the quarter. What if we go into a recession in 2019? If we do head into a recession now (and it’s hardly a foregone conclusion), the economy will do so on much stronger footing than in 2008. The employment backdrop is one of the more important differences today. The composition of the workforce both in terms of age (millennial cohort is hitting peak employment rates and ages today) and sector are very constructive. Bank capital ratios are in their healthiest state in decades, household balance sheets are as strong as they have been in decades and the key industries that led to the 2008 recession massive job losses are on much firmer footing. Over any long-term timeframe, recessions are a guarantee. The key is understanding where the real economic and market damage will come from within in. In other words, it’s important to have confidence in a portfolio that there will not be true long-term impairments in value vs interim markdowns in stock prices that will eventually revert to trend once the dust settles. Market structure matters a lot for how stocks handle shocks–whether they be intrinsic or extrinsic shocks. We spoke about the industry reclassification undertaken by S&P shaking up the “technology” label as a sector. The major shuffle, which was described as “the biggest impact on the sector landscape in GICS history” went into effect on September 21, 2018. Markets peaked on September 20, 2018. We do think that begs the question whether there are structural or fundamental causes to the subsequent market action. While one can never know for certain, the crowding of certain pockets of the active investment community (ourselves included) in the technology sector was vulnerable to the crosscurrents that the rebalancing flows created. Add to this pocket of vulnerability a sluggish housing number and ongoing China questions and you have the makings of a bear market with or without a recession. In the end, 2018 marks one of the biggest one-year declines in the forward P/E in the past few decades fueled by a combination of strong realized earnings growth and a decline in the stock market. Some of the earnings growth was the sugar rush from tax cuts, though a healthy amount was realized via higher revenue growth. While one might call the early 2018 levels “the upper end of fair value,” today is on the lower end of the fair value range. Yes, we have been below these levels, but they were in far different environments. This makes now a compelling time for long-term investors to put money to work. Cognex is one of the most compelling companies we have come across in some time. The company boasts gross margins in the mid-70%s and ROICs upwards of 100%. Yes, that is not a typo on the ROICs. Consequently, Cognex has built a healthy balance sheet featuring a cash stash upwards of 10% of the market cap today. The problem for the company is that demand cycles are incredibly lumpy, and growth is inconsistent from year-to-year. While Cognex targets a 20% compound annual growth rate in revenue, which they have come close to over the past five years, the longer-term realized growth is closer to 15%. This longer-term period includes the crisis. Cognex is in the business of “machine vision.” They build the sensors and the supporting software for manufacturing, supply chain and logistics companies to process and analyze a high velocity of product and data moving through a field of vision. The industry is somewhat fragmented, with the two largest players (Cognex and Keyence) combining for about 40% of share in the core machine vision segment. The core TAM for Cognex will represent about $4.3 billion in 2019, expected to grow at an 8% compound annual growth rate into the foreseeable future. Vision itself is a mission-critical add-on to other core automation initiatives and is a modest percentage of the cost for a company to automate in their respective field. While there are some functions of vision that are commoditized, the high function areas are both research and relationship intensive. Cognex and Keyence spend meaningfully more than the rest of the industry in R&D (a target around 15% of sales at Cognex, one of the most R&D intensive companies) and they have dedicated sales forces of highly trained engineers who work in close conjunction with their customers to develop uniquely tailored solutions. Note that while the units sold are measured much like a hardware company would, what Cognex (and Keyence) really sell is the software designed to process what the hardware reads. Customers get an ROI within two to three years of purchase, creating an incredible pricing advantage for these two unique companies. Willett, as CEO, has the background and incentive structure we admire. He built his own business–Willett International LTD–that he sold to Danaher for $125 million in 2003. Danaher merged Willett’s business into their Videojet subsidiary and made him the head of the business unit. You may have heard of Danaher recently, when its former CEO Larry Culp was picked to help GE out of its mess. Danaher is known for both outstanding operations built around the “Danaher Business System,” (DBS) a form of the Japanese “kaizen” and a deep capital allocation playbook deployed with prudence. DBS and kaizen feature continuous improvement and efficiency. Despite proceeds that would make anyone comfortable financially, Willett’s drive led to him joining Cognex in 2008 as an executive VP, rising to COO in 2010 and ultimately CEO in 2011 when the company’s founder Robert Shillman stepped back. 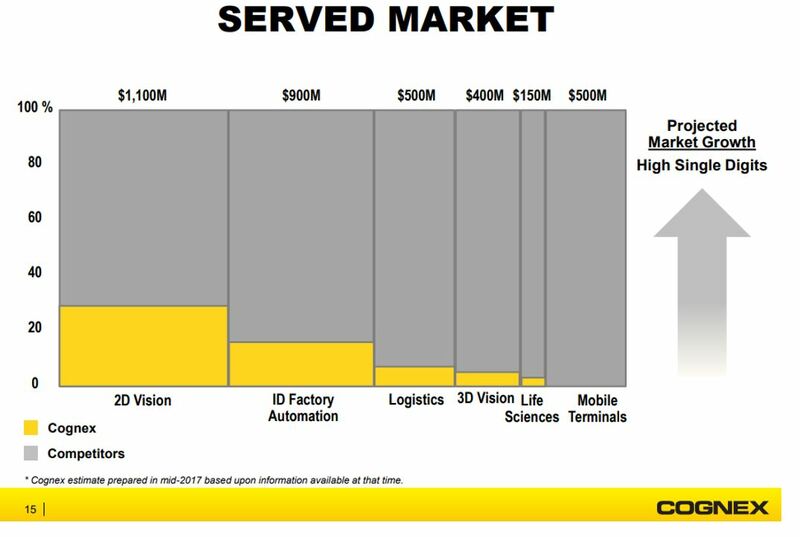 Today, about 10% of Cognex’ revenues come from logistics, a market which vision has 10% TAM penetration. We see Cognex’ share of revenues from logistics nearly doubling over the next five years. Similarly, 3d vision will continue its own rapid growth. Notably, the future growth drivers have far less lumpy demand channels than the existing ones. Meanwhile, the existing channels will continue to grow albeit at their consistently inconsistent pace. 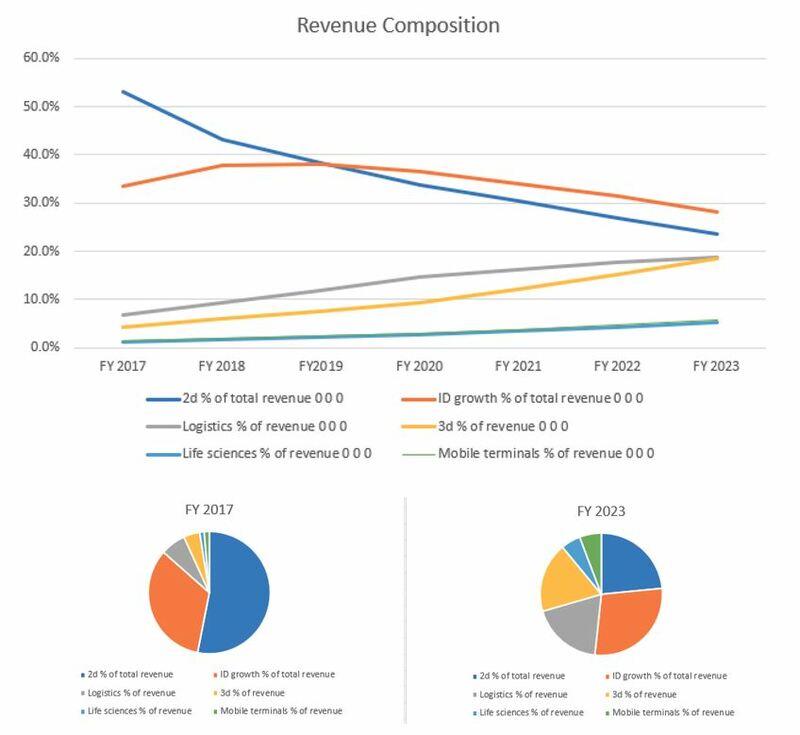 Diversifying the revenue stream in this way will give analysts more confidence in forecasting out-years and investors more confidence in ascribing an appropriate multiple to the company’s earnings stream. With over 100% ROICs, capital allocation is an important driver of future value and the hardest to model. The company boasts over $830m in cash, though does not screen that way since around $300m of that resides in “long-term investments.” Given Willett’s background at Danaher, it’s no surprise that capital allocation has been a strong suit. Despite the huge cash balance, Cognex’ share repurchases have been incredibly lumpy with the company demonstrably “buying low.” To that end, repurchases have been reaccelerating in the past year after having paused on the share price’s rapid ascent. In our base case, we see a clear path to double digit annualized returns with a minimum three-year target holding period, assuming no return is generated on excess cash flow either via strategically timed repurchases or acquisition. We expect the primary driver of growth to be a presumed 12% CAGR in top line, with modest EBIT and EBITDA margin leverage. Note this 12% CAGR falls well short of the company’s 20% target and below the 15% realized growth rate. In our bull case, growth in the high teens for the next four years, settling into the mid-teens thereafter, alongside 200 bps margin leverage supports prices today into the $70s, with the same prevailing assumption on reinvestment of cash flow. In our bear case, a mid single digit CAGR and flat margins give us confidence that a worst-case outcome would yield a mid $30 stock over our targeted 3-5 year timeframe. This bear case also assumes a WACC of 10% vs 9% for the base and bull cases. In our January 2016 commentary, we detailed our attraction to networks and platforms in the digital age. We were insistent on the appealing valuations and growth prospects for a certain crop of elite company. Today we see a similar opportunity taking shape and we have found our favorite risk/reward setup in a “robust network for the long-term” since then: Roku, Inc. (NASDAQ: ROKU). Many of you heard of Roku and have a streaming device of some kind in your household–likely also a Roku. Our younger readers are likely not just to have a Roku, but to consume a high percentage of video content on one of their devices. 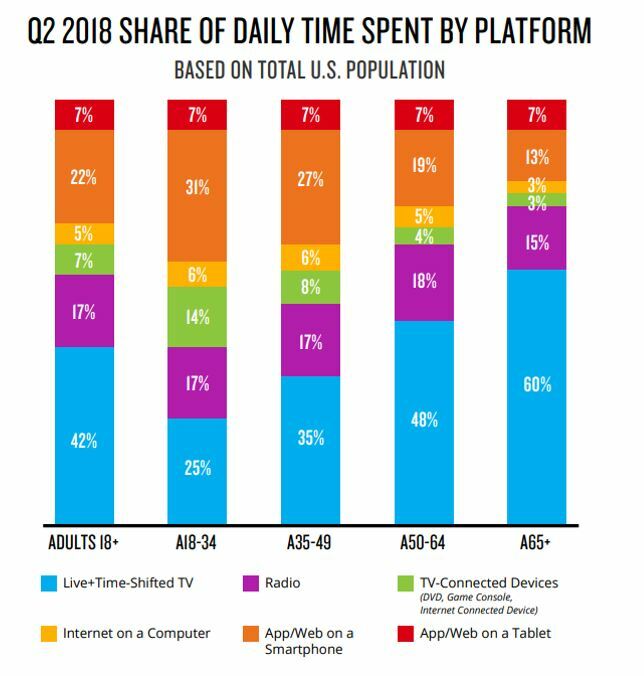 Per Anthony Wood, CEO of Roku, “10% of the 18 to 34 year olds watch their television on a Roku,” meaning Roku itself is the exclusive platform through which this key demographic watches TV. Roku IPO’d in 2017 and the stock has been highly volatile ever since. At the time of IPO, approximately 56% of revenues were driven by low margin hardware sales (“Player” sales) and the remainder from “Platform” sales. In the first quarter of 2018, Platform exceeded Player sales for the first time in the company’s history. This was the inflection point upon which it became clear the company’s future value will be driven by Platform sales. The company strategically views Player sales to drive placement of the Platform. Once a streaming device (whether a stick or increasingly a TV itself) is placed in a household, the company then seeks to monetize an account with a combination of successful subscription and Video-on-Demand (VOD) purchase royalties (1/3rd of Platform revenues) and, more importantly advertisements (2/3rds of platform revenues and growing quicker than the combined segment). Ads take several forms, including home screen placements for audience building, but most important is advertising VOD (AVOD). Once a household has an “Active Account” on Roku, the Platform side benefits from several levers enhancing monetization over time. First, with a surging abundance of streamable content, hours streamed continues to grow. Second, Roku can “fill” more of the available inventory on the platform. Third, Roku can drive better CPMs (cost per mil/thousand impressions) augmenting advertising inventory with its growing trove of user data. Roku boasts 95% completion rates on commercials, which contrasts favorably with linear TV. In 2018, just shy of $70 billion will be spent on advertising over linear TV. When measured as “linear TV,” advertising is no longer growing. Advertising on digital platforms will grow nearly 19% in 2018. Advertising on the Roku platform will nearly double. Roku was early to realize there was demand for free content, supported by ads in the streaming world, while the rest of the world was focused on subscriptions. As a result, some estimate Roku controls as much as “87% of ad requests” on connected TV today. This kind of scale has advantages for viewers and advertisers alike. Roku is led by Anthony Wood and its origin story sounds more Hollywood than Silicon Valley. Wood himself owns 25.9 million shares, or 24.2% of the company. Wood’s ownership is via the Class “B” voting shares, of which he controls 42.3% of the vote. As such, investors in Roku are effectively business partners with Wood, granting him an extremely high degree of control. While the separation of voting control is not ideal, we like how much Wood’s own fortunes are tied to Roku’s stock and view this as an important alignment of interests. It is important to consider both the actual and the strategic value of Roku. Disney, which has every reason to downplay the value of Hulu as it seeks to acquire the 40% it does not own recently valued Hulu and it’s near 30 million users at $9.26 billion. In contrast to Roku, which is modestly cash generative in today’s high growth mode, Hulu continues to burn cash. Further contrasting the two is how Roku places hardware whereas Hulu sells subscriptions. Digital subscribers tend to churn with regularity. As of today, Roku boasts nearly 24 million households. In its Q3 2018 report, Roku reported trailing twelve-month annual revenue per user (APRU) of $17.34, up just shy of 48% yoy. CPMs on the platform are said to be upwards of $30, rivaling some of the best networks on linear TV. Roku tastefully inserts ads at approximately 1/4th the industry average ad load (4 minutes of advertising per hour on Roku vs 16 minutes on linear) and have banned pre-roll ads before movies or shows in an effort to “premiumize” the experience watching content monetized with ads. The effort to make advertising more personal and to consume less time per hour makes the platform and its supporting ads appear less intrusive to consumers. This makes viewing content on Roku increasingly appealing driving further growth in hours viewed per account, thus making the entire platform increasingly attractive for advertisers to be on. The Roku Channel (TRC) itself is becoming a key driver of value. TRC was first launched in October 2017 and is already one of the top 5 most watched apps on Roku. Originally, TRC was solely available on Roku itself, but now the company has a distribution agreement with Samsung covering their smart TVs (perhaps a precursor of a bigger agreement), has enabled web-based login and a forthcoming mobile app. These changes have untethered TRC from the Roku hardware and unleashed TRC as a streaming asset with universal availability. The increased engagement with TRC has driven ad revenue growth which has empowered Roku’s ability to acquire more desirable content. There are also signs Roku will use TRC as a home screen and a modern aggregator/bundler of content. Roku started the New Year by announcing the availability of subscription content within TRC that will be payable all via one simple, monthly bill. Our guess is that this subscribable content is monetized like the standard royalty Roku takes on subs over its platform. There have also been suggestions The Roku Channel might eventually become fertile grounds for Netflix to release past seasons of some of their own shows as advertising supported content, to both further monetize that content and tempt new subscribers to join. These assumptions are also unfair to the Player business, which does generate margin. The company views this “margin” as a form of “negative customer acquisition cost” and for the purposes of our analysis, we use this as an offset to selling & marketing expense per new active user. Wood explained the margin rationale as follows: “And if we felt like…it’d be better for us to go to 0 gross margin or even negative on players, we would certainly consider that. But right now, at some point, there’s diminishing returns. I mean, the cheaper you make the players, the more likely that someone buys it and doesn’t use it.” Laying out the money up front for a Roku device is effectively a commitment that it will be used. This is the same rationale behind a Costco or even Amazon Prime membership. If Roku can get to 40 million Active Accounts (32% penetration of the 126.22 million US households, leaving aside the international opportunity for now) and an ARPU of $25 by 2020, the company can hit $1 billion in platform sales (approximately 66% growth for Active Accounts and 50% growth for APRU over expected 2018 final results, both implying a fairly large slowdown from present trends). This $1 billion expectation is slightly ahead of the consensus expectation, which has been rising consistently as the year progressed (Roku is one of those rare cases where a stock will finish the year down 40% all the while forward revenue expectations rose). If we assume no value or margin for the Player business, we can use today’s roughly $3 billion market cap and think about what the 3x P/S means. P/S = net margin * payout ratio * (1+g) / (r-g). In solving for net margin, assuming a 10% WACC and either 4% or 5% growth, you get an implied net margin at maturity of 17.3% or 14.3% respectively. It’s possible for Roku to exceed each of these hurdles, with ARPU being the most likely and an answer on net margin farthest in the future as the company invests to drive growth beyond the forecast period. To put the 3x P/2020 Platform sales in context, many great high growth digital platforms trade with P/S upwards of 8 (see NFLX, SHOP, CRM, SQ, ETSY, and TTD to name a few). We expect the primary driver of returns to be Roku’s delivery of exceptional growth; however, we also see a path to multiple expansion as the market comes to appreciate the company’s uniquely advantaged business model, scale and free cash flow generation ability on a recurring style of revenue base. This entry was posted in 2018, Commentary on January 7, 2019 by RGAIA. The second quarter was outstanding for our portfolios; however, the market absolved us of the opportunity to take comfort in those results rather swiftly. 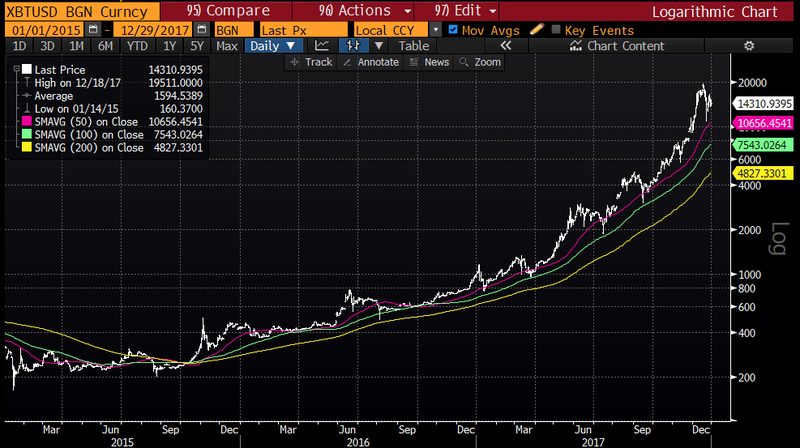 While this is our third quarter writeup and we typically confine this space to a discussion of the events during the course of the titled quarter, we feel it is important to address the market’s gyrations thus far in the fourth quarter. How big a risk is it? Can we quantify the effect on the economy and most importantly, our core holdings? Has the market already discounted the extent of the potential risk? Is there a way for policymakers (whether that be politicians or the Fed) to fix the problem? How does the specific threat come to an end or come to pass? The Federal Reserve’s interest rate hiking cycle has certainly caused concerns, specifically in housing. The selloff started alongside the long end of the interest rate curve steepening and rates moving higher. While this certainly matters, we would caution reading too deeply into the impact, especially considering the fact that before the selloff hit its most extreme levels, much of the long end interest rate move had already reversed. We think the foremost reason for this October selloff has been the impact of the trade war with China. This has been evident throughout earnings season, where companies talked about the drain the tariffs have placed on margins and the uncertainties the entire trade war with China engenders over years of supply chain strategy and investment. Although investors had time to prepare for these potential problems, we think far too many expected them to pass before visibly seeing any impact in earnings. Further, while the effects themselves are rather modest in what we would call the largely insular US economy, they are rather pronounced in the earnings of global multinationals—exactly the kind of companies which populate the S&P 500. For years, manufacturing companies built their processes around at least some degree of Chinese production capability and with that imperiled, it places a severe stress on planning and willingness to invest going forward. 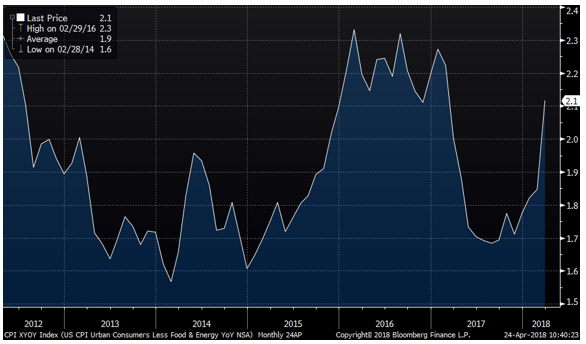 While housing seemingly is an interest rate story, there also is a degree of Chinese tariff risk: in some talks with homebuilders, we heard that relatively small costs like lighting fixtures have seen price increases upward of 20%. If several of these small costs jump apace, homebuilders must face several tough choices concurring with a rise in interest rates. Do homebuilders raise prices? That might be tough for the market to swallow. Do homebuilders accept lower margins? Shareholders certainly don’t like that. Do homebuilders push down the feature-set of new houses to lower their cost base? That’s certainly a realistic possibility which results in less overall demand for product generally. Here we know there are distinct risks and this past earnings period saw them quantified. We also must cope with the uncertainty of not knowing directionally how investment strategy will be engineered going forward for companies with global supply chains. Given this landscape, early in this October, we sold our one holding with the most risk to these specific problems (Williams Sonomia, NYSE: WSM). The position had reached our sell range and the Trade War risks and uncertainty provided the right impetus to exit, reassess and move on. Beyond this one position, the rest of our portfolio has pockets of China risk and exposure though it is far smaller, more esoteric, and in no instance requires a major revamp of corporate strategy and planning. PayPal has been and remains our largest position for years now. We commenced our position via eBay before the companies split in two in the summer of 2015. Since that time, much has changed at PayPal and the company has performed well; however, we think there continues to be an extreme misperception from Wall Street in analyzing the business itself. Specifically, analysis tends to be detailed and thoughtful, but lacking in creativity. Most analysts pick apart take rate every which way in an attempt to deduce underlying net revenue and gross margin trends, while the bigger picture opportunity is given little thought. We like simplifying an investment thesis to its essence and while take rate is certainly important here, we view engagement as the end-all, be-all metric to assess our investment in PayPal. In 2012, the typical active user at PayPal used the service once every 2.4 weeks, or less than twice a month. In 2018, the typical user will use the service about once every week and a half, or a little more than three times a month. Notice the acceleration in engagement starting in late 2015 and early 2016. 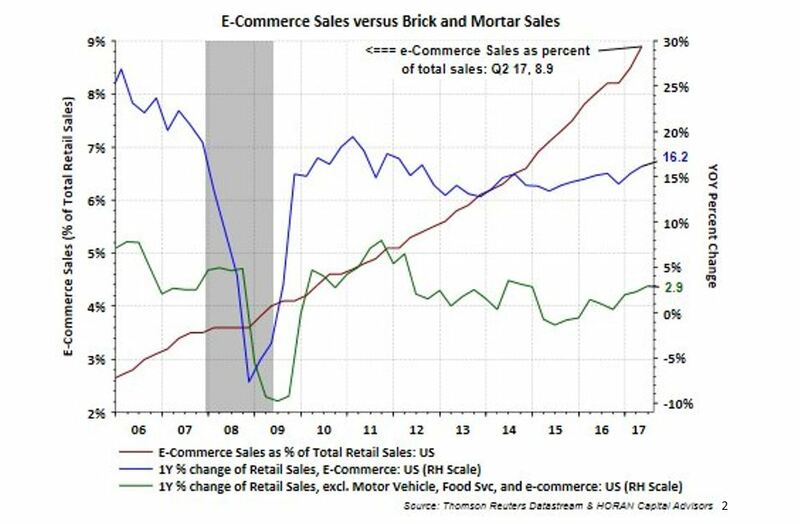 We attribute much of this acceleration to the benefits of independence from eBay with PayPal’s mission pivoting from driving sales on eBay to creating the ultimate consumer experience for online checkout. A singular focus on PayPal’s essence was crucial for driving meaningful improvements in the experience. Engagement growth pulled back in 2017 though this came from a step-change in the growth rate in new active users. In 2016, net new actives checked in at 10.06% vs 15.23% in 2017. The acceleration in growth was driven by “choice” following the Visa and Mastercard partnerships, enabled by easier onboarding and less friction throughout the user interface. New users take time to reach the engagement of more mature users. What’s notable is that the customer acquisition cost (CAC, measured by sales & marketing spend per net new user) dropped from nearly $54 to $37.60. In PayPal’s third quarter 2018 earnings report, CAC checked in at less than $36. Note: here we are looking at CAC on a net user basis, which overstates true CAC. Gross active user additions would account for churn. For the sake of this analysis we are focusing on simplicity. In 2018 the company will maintain its new user growth acceleration, while engagement growth re-accelerates. The more frequently the average customer uses PayPal, the more valuable accepting PayPal becomes to the merchant side of the network. More engagement thus leads to more merchant uptake. The more value each user gets out of PayPal, the more people who don’t yet use PayPal end up seeing reasons to engage with the company. In part, this is driven by peer-to-peer (whether it be core PayPal or Venmo) and in part this is driven by the positive sentiments the frequent users express because of their experience with PayPal. Users thus become PayPal’s best promoters. The quantitative benefits are meaningful as well. 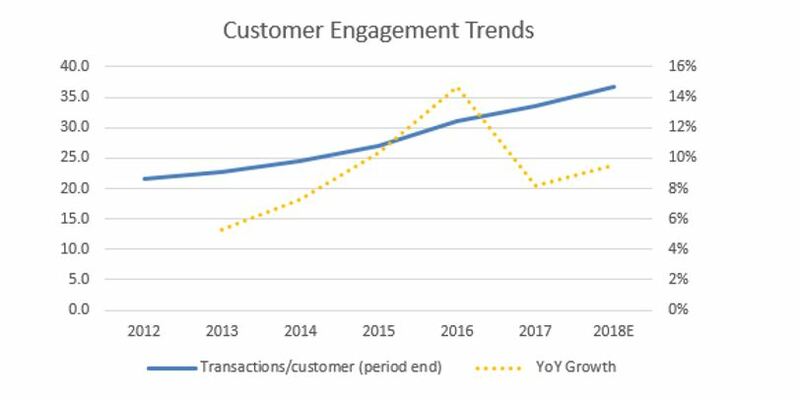 Growth in customer engagement is more valuable and higher margin than growth in new actives. New actives require customer acquisition cost, whereas increasing engagement from existing customers has no such cost against it. New actives are obviously an important driver of top line growth & economic profit long-term; however, the Street consistently underestimates the importance of engagement as both a profit and margin driver. 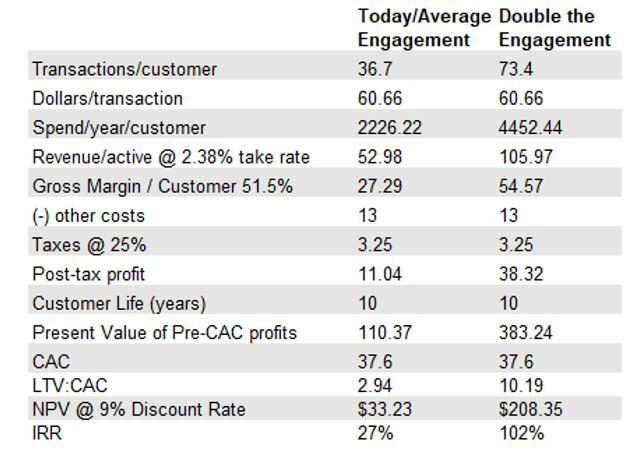 One way to think about this is to contrast the lifetime value (LTV) of a customer to PayPal with average engagement versus one with double the engagement. For illustration purposes, we used a 10 year lifespan, but note that the ratio of LTV enhancement would be the same were the lifespan 5 years. The “other costs” line above includes the full brunt of product development (R&D), customer support and operations and general and administrative expenses. We would make the case that much of the R&D line in particular goes towards growth investments and is not thus part of the individual customer economic value analysis; however, for the purposes of this illustration we are inclined to include it. The key takeaway here is that when engagement doubles, there is a nearly 3.5x improvement in LTV. This is an important exercise for two reasons. First, while we can analyze averages across the enterprise, there are cohorts in PayPal who are far more engaged than others and these engaged customers are far more important for the overall value of the business. While PayPal does not disclose any number approximating churn, we must therefore make assumptions. Our assumptions can target the average, but it’s also important to think about cohorts. 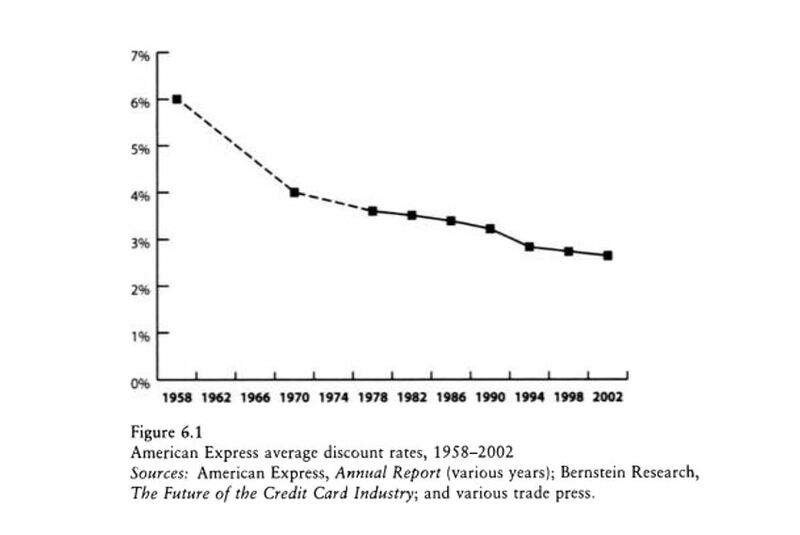 For example, were the 80% of PayPal customers extremely sticky with customer lifespans a decade or longer and the churn existent in the 20% around the edges, average/aggregate churn might be fairly high, while the LTV of the sticky 80% would be far greater than the LTV of the average. Second, if PayPal can continue to deepen engagement from its average customer, this would be a meaningful driver of value. Between the big drop in customer acquisition costs starting in 2017 and continually rising engagement, the lifetime values of existing customers continue to trend higher at PayPal and the value of each incremental user continues to rise. Unlike the typical subscription service that has a price and sticks to it (or raises it modestly), PayPal enjoys two levers on the customer level that the typical SaaS within the LTV framework does not. We’ve spoken to engagement, but also the average transaction price itself rises at the rate of inflation. 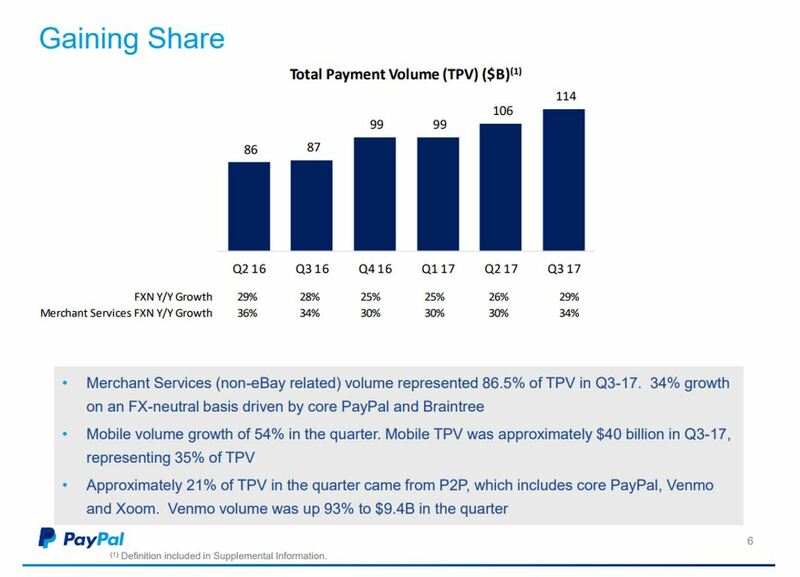 As inflation rises, PayPal’s unit economics improve at a faster rate than its expense base grows. 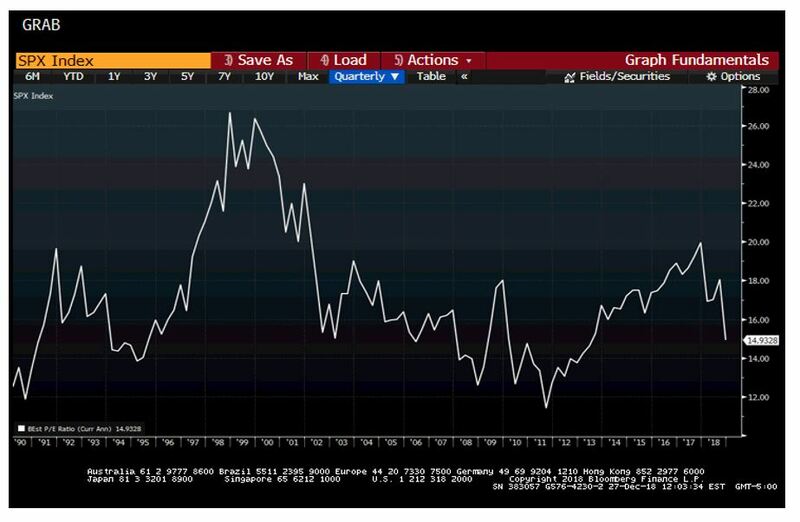 Considering our ongoing theme of the economy normalizing and inflation returning to normal levels, this degree of pricing power is a powerful lever for the stock’s value longer-term. Once the analyst community realizes they can move past their fear of take rate erosion and embrace the powerful levers of engagement, the stock will be treated quite differently and far less skeptically by the investment community. Walgreen Boots Alliance entered the third quarter at its lowest share price in four years on the heels of Amazon announcing a late second quarter acquisition (on Walgreen’s earnings day no less). Amazon acquired PillPak, an online pharmacy with a differentiated offering. We addressed the Amazon risk for Walgreen’s head-on in Elliot’s presentation at the Manual of Ideas Best Ideas Conference in January of his year. While the market instantly focused on the risk, over the course of the quarter Walgreen’s shares recovered their lost ground and more. This offers an important lesson in sentiment. While Walgreen’s sold off each time there were whispers of Amazon entering the pharmacy business, the materialization of an entry ended what has been a nearly two yearlong running speculation of the ecommerce giant’s intents. In the speculative phase, prognosticators allowed their imaginations to run wild with upside scenarios for Amazon and harsh consequences for the incumbents in Walgreen’s and CVS, with timeframes for these predictions seemingly irrelevant. Upon actualization however, the focus now must shift to execution. Before the PillPak acquisition, Walgreen’s the stock was fighting a perception battle with hypotheticals where price action was driven by narrative. Now Walgreen’s is fighting a competitive battle where market shares and margins will be the arbiters of success. On this front, Walgreen’s continues to gain share, though the company is sacrificing margin at the pharmacy to do so, while the front end continues to stabilize around a SKU rationalization and margin enhancement strategy. Evans, David and Richard Schmalensee. Paying With Plastic: The Digital Revolution in Buying and Borrowing. This entry was posted in 2018, Commentary on November 1, 2018 by RGAIA. However, as we know, markets tend to move in fits and starts instead of straight lines. Digestion takes many forms and the chop we have experienced thus far in 2018 certainly is one of the more prominent forms. Alongside this expectation for digestion was our call for renewed dispersion between sectors and stocks. This looks prescient thus far and has been both rewarding and a source of opportunity that we are now hopefully taking advantage of. 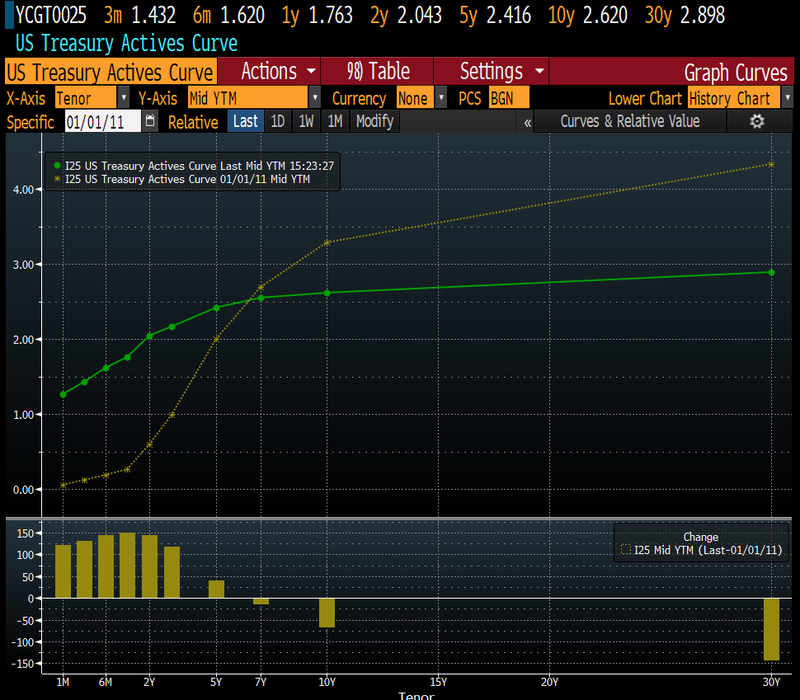 Our most misguided expectation thus far has been the slope of the yield curve. We expected some steepness to begin emerging in 2018 and to date, the yield curve has actually compressed. The spread between the 2-year Treasury and 10-year Treasury has neared but not gone through the “inversion” level. This has been a headwind for net interest margin at banks, though it has not placed too big a hurt on the financial sector yet. This is largely due to abundant positives for the financial sector that have so far outweighed the negatives of a flattening yield curve. First quarter volatility gradually eroded during the course of the second quarter of the year. Markets were far calmer and technology stocks in particular exhibited considerable strength. We used the early quarter volatility to make five notable moves, closing out of two positions, doubling down on one and commencing two new holdings. The second quarter thus marked our most active quarter of portfolio activity since the second quarter of 2016. We are especially excited about one of the new additions, for how we think this purchase elucidates our philosophy, process and discipline—Equinix, Inc (NASDAQ: EQIX). We first learned of Equinix years ago and as many were wont to do, we dismissed the stock as merely another datacenter marketing itself for having recurring revenue while the primary asset depreciated rapidly and required constant replenishment. Slowly our view became more informed as we spoke with various investors and industry participants. The key factor that influenced our desire to truly dig in on in this company was the suggestion to read Tubes: A Journey to the Center of the Internet by Andrew Blum, in late 2015. We featured this as one of the “Best books we read” in our year-end 2016 commentary. The central thesis of Tubes is that despite the Internet appearing rather abstract and terms like “the cloud” seemingly implying the Internet itself exists in the air, the entire edifice is built on a highly tangible, physical infrastructure that is essential to global connectivity. ECX Fabric connects Equinix data centers all over the world to create an interconnected fabric of extremely fast connections. The connections are both virtual and physical. They make it possible for a Finnish company to connect to their brand office in Singapore almost as if they were physically in the same building… You can now connect to the cloud provider of your choice directly, bypassing the congested public Internet altogether. For example, AWS’s Frankfurt region is available in Equinix’ interconnection exchange in Helsinki. Two and a half years after really digging into this company and taking a liking did we finally feel we could underwrite the investment in pursuit of our return expectations. We think buying this stock with an approximately 6.25% yield on adjusted funds from operation with a 45% payout ratio and a long runway of double digit growth will be looked upon years down the line as an outstanding bargain. We know there are more such future opportunities lurking in our watchlist and we are excited by how with each passing year our watchlist grows in multiple directions. We are increasing the number of companies that we know and we are accordingly increasing our depth of knowledge on each company populating our watchlist. We maintain this list alongside the price at which we would be ready and willing to step in and buy any one particular company. REITWeek, NAREIT Investor Forum, June 6th, 2018. This entry was posted in 2018, Commentary on August 10, 2018 by RGAIA. The first quarter of 2018 began much the same way 2017 ended: with markets steadily grinding higher daily, while expected volatility plummeted. It seemed almost natural as analysts updated and revised higher their bottoms up and top down estimates to account for the impact of the Tax Cuts and Jobs Act of 2017. Alas, the trend was too good to be true and swiftly reversed without even a modest pause. 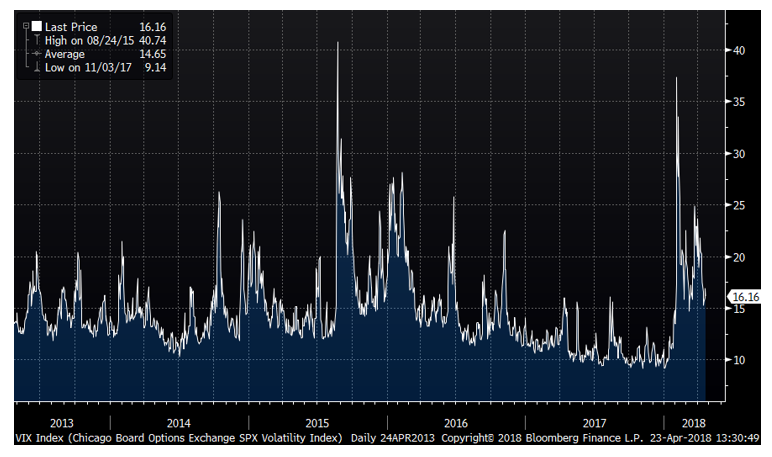 The VIX, a popular measure of expected volatility in markets, went from exceedingly placid levels to its most extreme positioning in years over the course of a few days. 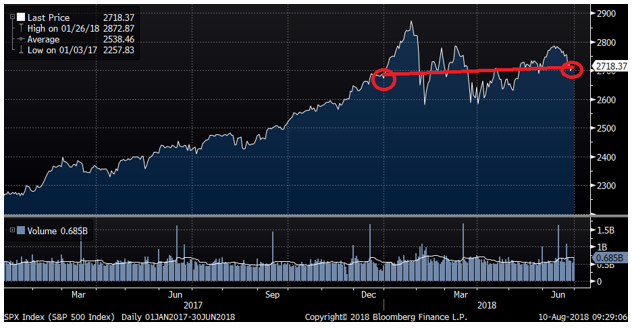 So harsh was the sudden surge in volatility that two popular volatility ETFs essentially perished in the storm: XIV and SVXY. Many pundits have called this upswing in volatility a natural reversion following 2017s exceedingly low levels of volatility. This lends to the belief that the volatility we are now seeing is only temporary. 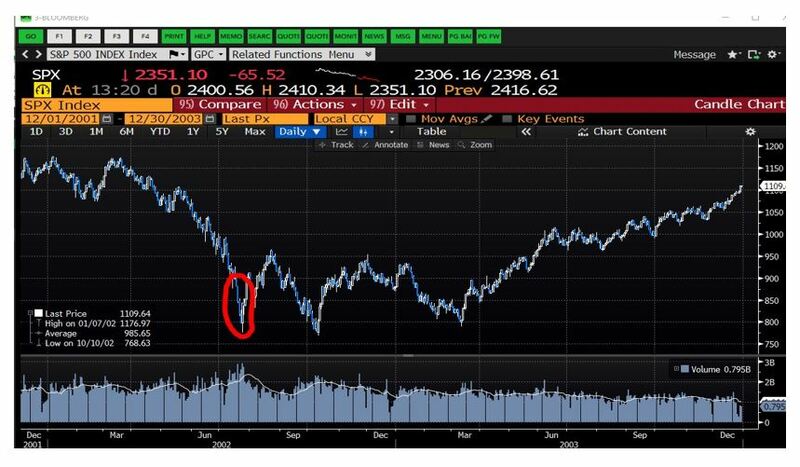 Instead, when thinking of this as a cluster, what we have witnessed since February of 2018 is what should be called “regime change” and the expectation from here on out should be that volatility will be persistently higher than what we have experienced over the past few years. It’s challenging to isolate a specific cause for it, but in Q1 we believe that markets have grappled with a new reality that will remain, hence a regime change in volatility. Flash back to five years ago and the foremost risk in financial markets was the prospect of deflation. Central banks around the globe were either pursuing or commencing aggressive actions to ensure that deflation would not materialize. Just one year ago the risks were far more balanced—some argued that deflation might be the foremost risk and consequently, central banks should continue a dovish stance towards interest rates, while others argued inflation was the foremost risk and a “normalization” of interest rates was thus warranted. Today it is clear in the United States that a normalization is underway and as such, the interest rate curve took a mostly parallel jump higher (there was a degree of flattening between the two and ten year maturities but it was pretty modest during the quarter-as depicted by the 2nd chart below). There is good news and bad news out of all this and the two are interrelated. The bad news first: from here on out, the Federal Reserve Bank will continue raising interest rates as long as inflation is rising. Ultimately, the Fed will put the economy into a recession when inflation gets too hot for their tastes. The good news is that the Fed has far more tools and flexibility to deal with inflation today than it does deflation. A Fed-induced recession will be far more like the typical post-WWII recession than what we experienced in Financial Crisis. While the risk of inflation is real, its imminence and extent remain rather modest compared to historical norms. A recession is never fun for stocks, but with valuations comfortably within reasonable bounds the damage should be far more modest and the recovery swifter than the past recession. We do not know when this will take place, but we do know it is an eventuality that must be considered and find it helpful to think about how it should play out in advance. Given this outlook, we used the volatility to purchase two new positions, which we explain in more detail below. During the quarter, Disney announced it was raising single-day prices at its US parks by up to 9 percent. With inflation reemerging as a risk for markets, companies that can raise prices faster than the rate of inflation become increasingly valuable in two respects: first is the obvious, as these companies can expand margins and make more money; second, the risk to these companies from an inflationary environment is far less, thus warranting a better relative cost of capital. One way to think about relative cost of capital is the P/E ratio of one company verse another. The company with a higher (lower) P/E ratio enjoys a lower (higher) cost of capital. Given what we have laid out above and Disney’s recent price action at theme parks, you might suspect that the relative cost of capital at Disney has been driven lower; however, as the following chart demonstrates, the opposite has been the case. The blue line on the chart is the Disney forward P/E divided by the S&P 500 forward P/E going back to 1990. Historically, Disney has traded with a decent premium to the S&P. Since the crisis that premium has been less, but still existent. In the last two years, Disney has come to trade at a discount. Our point above about the Parks is not exactly representative of the entire company, though it remains noteworthy. Parks and Resorts collectively account for one third of the company’s revenue base and EBITDA and one forth of operating profit. This is up nicely from 31% and 21% respective just five years ago. The big loser and focus of much attention here has been ESPN, which was over one forth of operating income five years but now represents about 15% of the total. ESPN is but one part of a broader narrative whereby people fear the end of the broadcast business as we know it and the colossal changes in the media industry. We think these fears are both overblown and already discounted into Disney’s share prices. Plus, we think Disney with its lush trove of high quality franchises and content makes the company uniquely positioned to thrive in the push to a direct-to-consumer (DTC) relationship. DTC by nature is higher margin and less volatile than the traditional media business for how the relationship works via monthly recurring revenue subscriptions and by cutting out the middle-man in distribution. Some fear that Disney has been too slow and/or acting with too much sensitivity towards distribution. While we do think Disney should have moved faster, we do not think the window has shut by any means and the company’s complete acquisition of MLBAM was smart and necessary for creating a scalable and enduring platform. 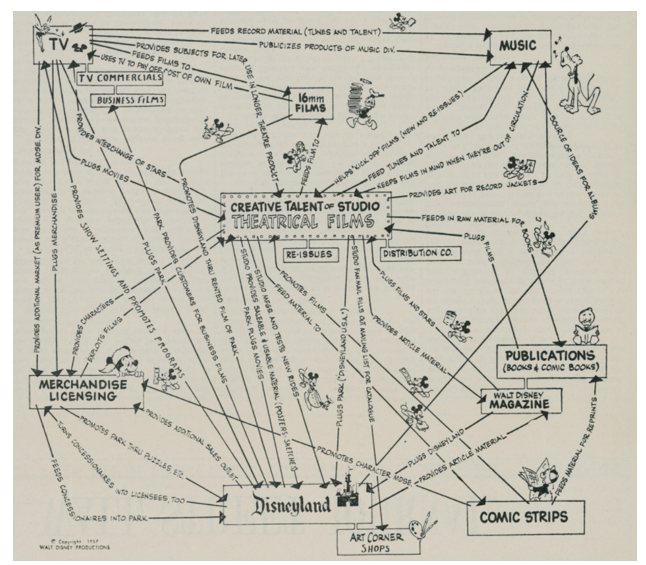 This image demonstrates the flywheel that Walt Disney created within his company. As Ball explains, “Only two years after the company’s first theme park opened, Walt detailed an expansive vision for Disney – one where every segment of the business worked in concert. They would develop shared IP, foster shared creative talent and use shared managerial, promotional and financial infrastructure to tell stories that would define generations.” This opportunity is even greater when a direct-to-consumer relationship is forged. Key to our bullishness on Disney is how deeply embedded these values are in the company’s culture. In fact, these values were essentially born with the company itself. It is a big part of why the recent acquisitions of Marvel Entertainment and Lucasfilm have been such immense successes for the bottom line. While many perceive Disney’s push to DTC as a wholesale strategy shift, it is more realistically a natural extension of an enduring corporate culture. We do not think “any” media company can pull off this transition and to that end, the uniqueness of Disney ultimately results in the company itself being a scarce asset that the market will reward in the long-run. While news of Facebook’s shoddy data practices broke with respect to Cambridge Analytica and the 2016 election, we were patting ourselves on the back for having bought an under-the-radar data company playing an integral role in the online marketing ecosystem. Almost immediately after purchase, our shares in Acxiom were trading higher, until the last day of the quarter when Facebook decided to cut off Acxiom’s data broker as a third-party data provider on Facebook. The stock plummeted and at its worst was down over 40% from the prior week. Nonetheless, our conviction in Acxiom remained steadfast amidst the panic and we have since purchased more shares and dropped our average price accordingly. This entire situation is one of the more unique and exciting ones we have seen in recent times. Before the Facebook news hit, Acxiom was lifting off on the heels of its intent to sell its legacy business—Acxiom Marketing Solutions—leaving its Connectivity segment (LiveRamp) as a standalone, pureplay growth company in an intriguing industry. Acxiom will surely lose some business from the Facebook change, but the vast majority of the value in this investment comes from the LiveRamp segment—a largely hidden jewel within the broader company. Acxiom acquired LiveRamp in 2014 and has scaled the business rapidly since. “Onboarding” refers to a process whereby a data broker adds offline data into a cookie (the process of onboarding offline data) to enable advertisers to target consumers virtually anywhere on the Internet. It allows advertisers to use consumers’ offline activities to determine what advertisements to serve them on the Internet. Onboarding clients either (1) provide data about their customers to a data broker to facilitate the process of finding those consumers on the Internet to deliver targeted advertisements; or (2) use a data broker to identify an audience of consumers who are likely to share particular characteristics and find those consumers on the Internet to deliver advertisements. Three of the data brokers offer an onboarding product. Onboarding typically includes three steps: (i) segmentation; (ii) matching; and (iii) targeting. There are elements of this definition that are not entirely accurate and nuances to how onboarding is deployed, but LiveRamp is essentially the only onboarder with robust offline to online capabilities. This being central to the FTC’s definition is demonstrative of how dominant LiveRamp is in the space. Importantly, it’s the kind of industry where network effects are key determinants of customer stickiness and growing value. The more data an onboarder has, the better its match rate will be (LiveRamp’s are the best) and the more use-cases that can be deployed on the platform. LiveRamp boasts a market share over 2x the next largest competitor and importantly, the key competitors including Oracle’s OnRamp (purchased in the $1.2b Datalogix acquisition in 2015) and Neustar are both heavily reliant on LiveRamp as key customers. Essentially, LiveRamp competitors cannot compete without access to LiveRamp itself and the role of competition has been relegated to either white labeling LIveRamp’s pipes or serving specific niches with unique, but not scalable value propositions. LiveRamp makes money by charging its users subscription fees and tiered pricing depending on use. The majority of revenue comes from usage fees, and as such, the more use-cases LiveRamp can develop, the more it can grow its relevance and revenue base from customers new and old alike. Once the disposition of AMS is complete, LiveRamp will enjoy enhanced financial flexibility to deploy in developing and acquiring tuck-in applications that can expand the capabilities users will have on the platform. A recent example of such a move is the company’s acquisition of Pacific Data Partners to grow the B2B use-cases for LiveRamp. LiveRamp has been nurtured under smart, strong leadership. Scott Howe, Acxiom’s CEO, came to the company in 2011 from Microsoft, where he was the company’s top ad executive in charge of advertiser and publishing solutions, including Bing. As Howe explains, “The Axiom I walked into four years ago was really a legacy direct-mail database company but had developed some really great assets that could be extended to other channels and can be repurposed for the entire industry, and that’s the transition we’ve been making over time.” Howe’s CFO, Warren Jenson, was an early CFO at Amazon where he is credited with helping lead the company to profitability in the wake of the dot com bust. The management team has been focused and determined in driving shareholder value and has held on to a material equity position in order to position for the upside they ultimately intend to achieve. GM can now buy this data directly from Acxiom. LiveRamp’s revenue run-rate has grown from $16m annualized in Q1 of 2015 (shortly after Acxiom acquired it) to $224m annualized in Q3 of 2018. The average customer spends over $1.7m per year on the platform and revenue retention is at 110%. At the shares’ worst price on Friday, March 30th, we think LiveRamp itself was worth more than the entire company even though the legacy company will do around $130m in EBIT after accounting for the Facebook hit. If the AMS business fetches 4-5x EBITDA, the company will get between $1 and $1.4 billion in proceeds. Despite the Facebook news, the Acxiom remains intent on selling its AMS business and focusing purely on LiveRamp. Should a sale not materialize (though the company sounds confident it will) they can consider a spinoff instead. One way or another, LiveRamp will come to be independent in the near future. It’s large enough, self-sustainable on its own cash flow generation, and poised to benefit from strategic flexibility and customer relationships that were limited by its corporate parenthood. Assuming AMS fetches the low-end of our expected proceed range, that leaves half of the company’s value to be accounted for by a $224m run-rate business growing at rates upwards of 40%, likely to grow in the mid-30s for the upcoming year, with the potential to reaccelerate growth with the strategic flexibility afforded by being a standalone pure-play. Our bear case on a sum of the parts is that Acxiom is worth $27 per share, base case is $40 per share and bull case is $58 per share. Looking out further, standalone LiveRamp has the potential to capture a large and growing total addressable market and will very likely catch the eye of the well-capitalized behemoths who facilitate online advertising with their software solutions. It’s only a matter of time before this Facebook news is far in the rearview mirror. This entry was posted in 2018, Commentary on May 1, 2018 by RGAIA. This entry was posted in 2018, Commentary on January 24, 2018 by RGAIA. 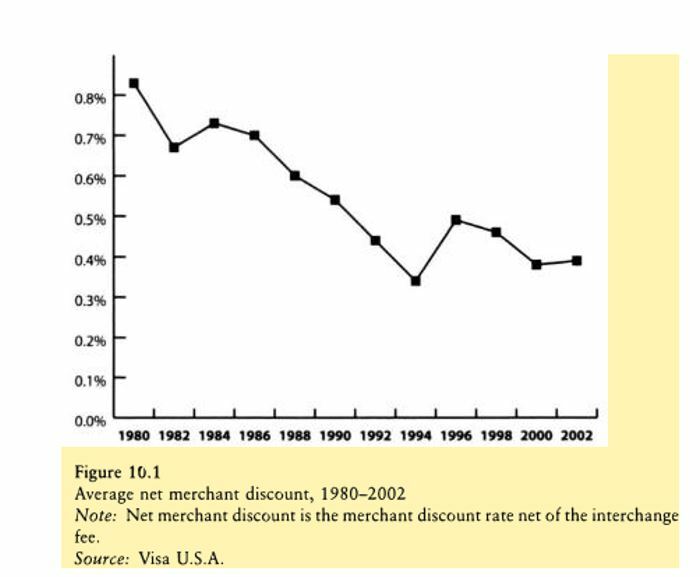 One of our biggest mistakes was not investing in Amazon shortly after reading Josh Tarasoff’s 2012 VALUEx presentation, instantly recognizing the appeal and dismissing a potential purchase on account of the stock being “too expensive.” We will forever hold ourselves accountable for this mistake, while simultaneously self-reflecting on what we can do to avoid this mistake in the future and figure out where and how value does accrue in commerce today. In considering Amazon today, especially the stock, we all need to recognize that the perception pendulum has swung from perhaps “neutral” to exceedingly bullish. The fear of Amazon is so acute across various sectors that merely the whisper of Amazon’s encroachment in a given vertical moves market caps billions of dollars in a matter of seconds. As such, it is imperative that every investment manager and corporate manager recognize where and how their business does and might compete with Amazon in the future and consider what can be done to entrench any advantage that may exist as of today. Further, all stakeholders need to consider what their markets might look like over the course of five to ten years down the line since this is the playing field upon which Amazon’s shareholders afford it the right to compete. In reflecting on our experience (or lack thereof) with Amazon, we think one of the company’s biggest successes is how they have changed consumer behavior and made buying online easy. With Prime, consumers know that whatever they may want can be bought and received within two days—Amazon has literally become the “Everything Store.” While Amazon was the first to drive this change in behavior, and has been the primary beneficiary thus far, they did something else at the same time: they opened the door to other different mediums for transactions and opened consumer minds to exploring more online consumption opportunities. Changing behavior from offline to online was the seminal achievement of Prime. Incumbents and upstarts alike cannot at this point displace Amazon; however, in the right situations, they can defend their own turf or forge new paths for themselves. If it sounds like we are anti-Amazon, let us clarify: we are not. We are Prime members, habitually ordering a variety of products from Amazon, but we are also bargain hunters. As bargain hunters we both scour for the best combination of quality and price when in the market for a product purchase, and we look for situations in markets where there is a disconnect between sentiment and reality. There is no larger disconnect in our assessment of the market today than the implicit inevitability of Amazon’s dominance across a host of domains. When Amazon sneezes interest, the target sector immediately catches a bad cold. It has reached a point where even if Amazon does fulfill its rhetorical predestiny, there is ample room for others to succeed. In fact, we see several unique niches being carved out or already dominated by competitors whose servings meet a balancing of demands between quality, price and convenience. This entry was posted in 2017, Commentary on November 17, 2017 by RGAIA.